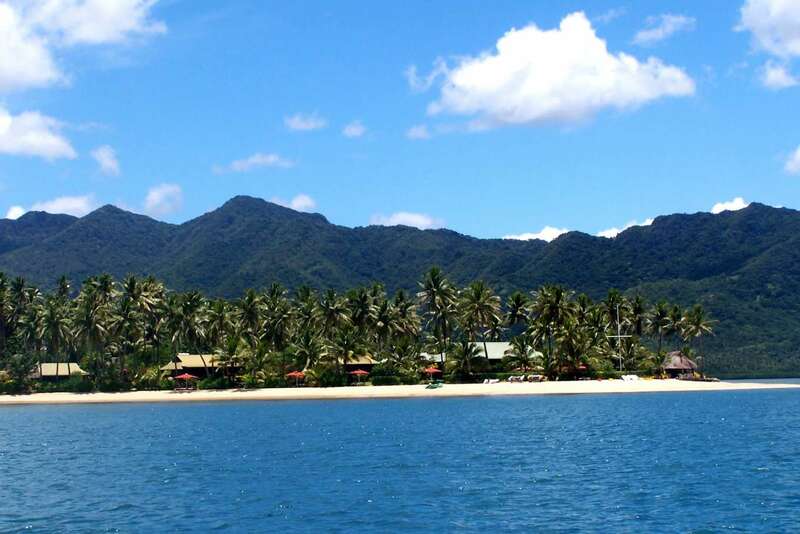 Nukubati is a small luxury private island, secluded with an untouched natural splendour - a remote haven surrounded by white sand, lush rainforest and crystalline coral reefs. With just seven bures, Nukubati preserves a unique sense of privacy. From the moment you arrive, stepping off the seaplane, you feel the romance and adventure of the South Pacific. 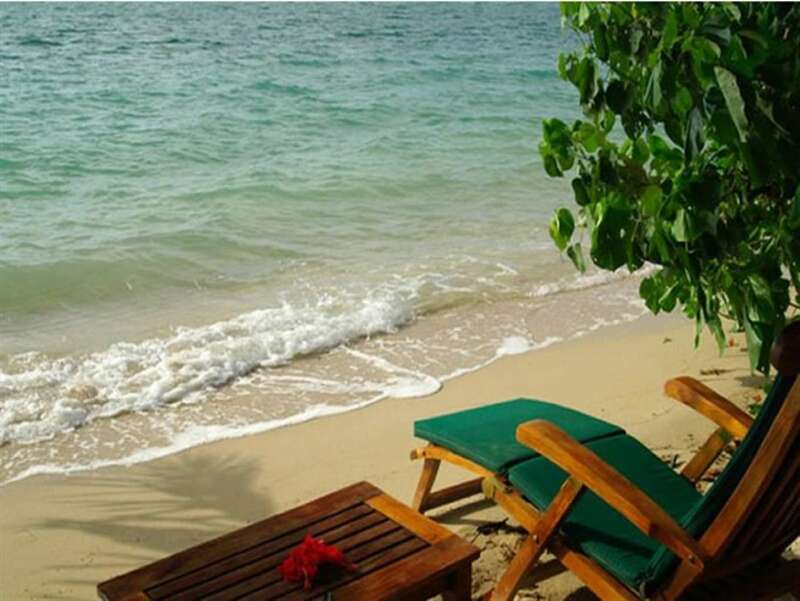 Enjoy long lazy hours beachcombing, bathing, fishing, sailing. The ultimate experience is diving on the Great Sea Reef. Indulge in exquisite dining with superlative cuisine, prepared from fresh local produce. A delicious abundance of seafood is caught daily. 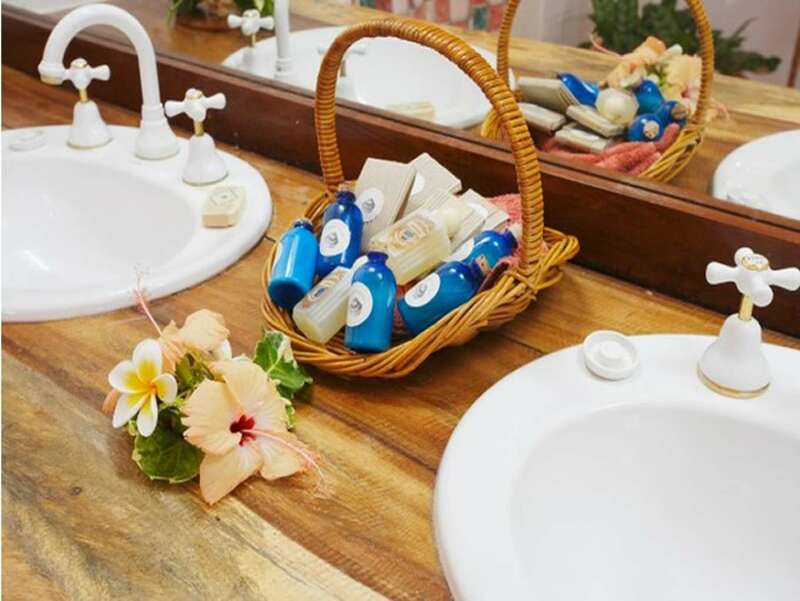 With individual and personalized service, Nukubati sets new standards in laid-back luxury. 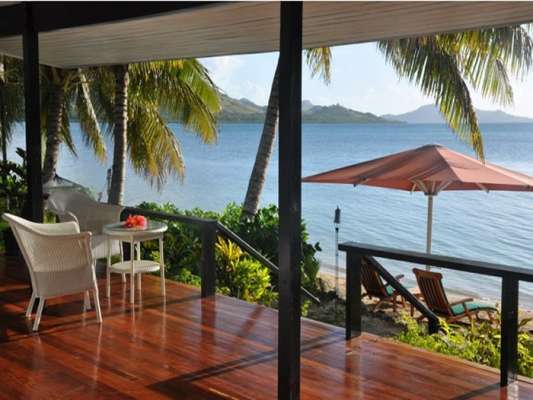 This is the perfect South Seas escape. A time to relax with your partner and pamper each other. 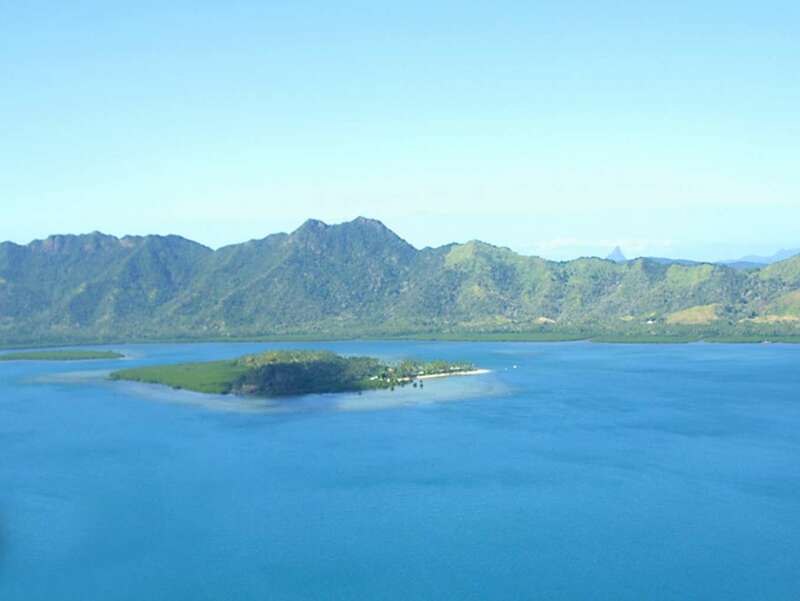 Nukubati, pronounced nook-oom bah-tee, is situated inside the Great Sea Reef, off the north coast of Vanua Levu in the Fiji Islands. Nukubati is easily accessible. Fiji's international airport at Nadi is serviced by many international carriers, with flights from North America, Europe, Japan, Korea, Australia and New Zealand. 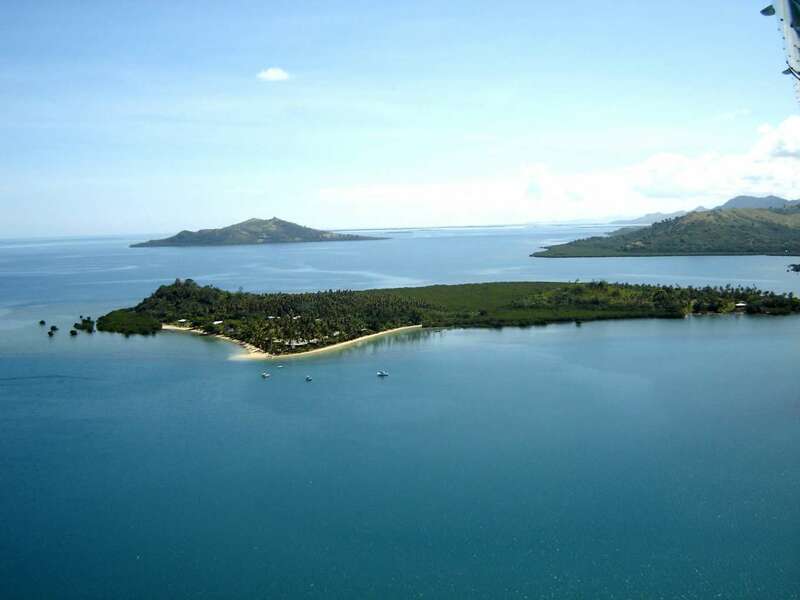 From Nadi International Airport it is only a one hour flight by seaplane to Nukubati Island, where you will step ashore to the romance and adventure of the South Pacific. Nukubati has four spacious beachside bungalow suites and three deluxe honeymoon bures. The rooms are louvered, light and airy, with ceiling fans. They are decorated in a style reminiscent of Fiji's gracious colonial past. The rattan furniture is custom made to the traditional designs of the old plantation days. 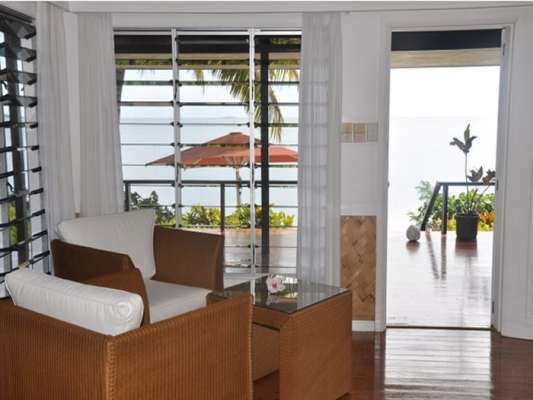 There are four beachside bungalow suites in duplex configuration. 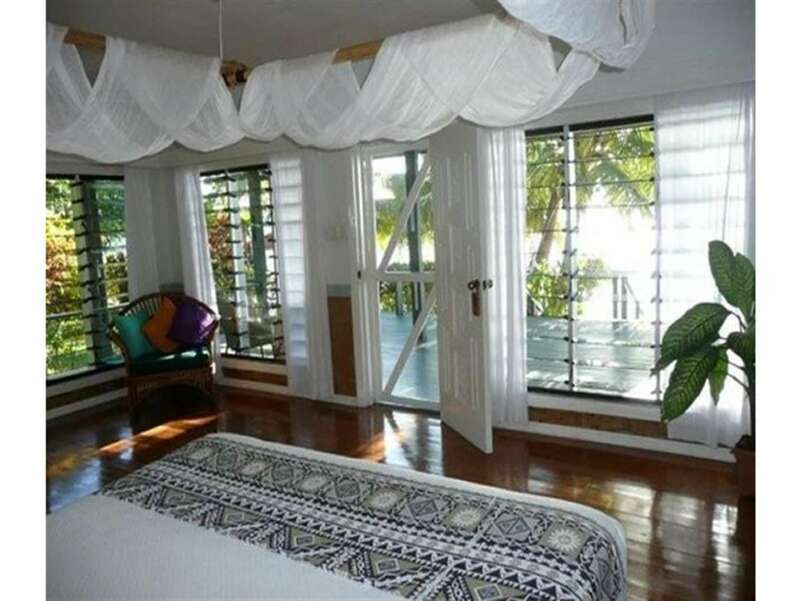 Each bungalow has a lounge room, bedroom, large bathroom with twin vanities and showers, front verandah overlooking the beach and a private rear patio. Each bungalow is furnished with lounge suite, coffee table, writing desk, dressing table, open wardrobe and queen size bed. A full range of toiletries, coffee and teas, mini bar, cd player, hair dryer, and maid service are provided. Daily laundry service is complimentary. There are three beachside honeymoon bures. Each bure has a lounge area, spacious bathroom with twin vanities and showers, large verandah overlooking the beach and a private rear patio. The bures are furnished with lounge suite, coffee table, writing desk, dressing table, open wardrobe and shelves, and king size bed. Seafood is our speciality, freshly caught off the resort, with tropical fruits and vegetables from our own gardens. 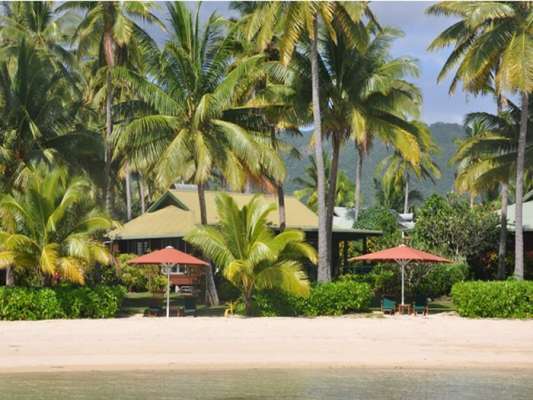 Cooking style is Fijian, featuring traditional South Pacific recipes using all local ingredients, herbs and spices. However individual dietary requirements, such as vegetarian or no seafood meals are catered for. Nukubati has an extensive wine cellar stocking premium Australian, New Zealand and French wines and champagnes. There are two bars, one in the Pavilion and the other on the front lawn, and bar service to all parts of the island! 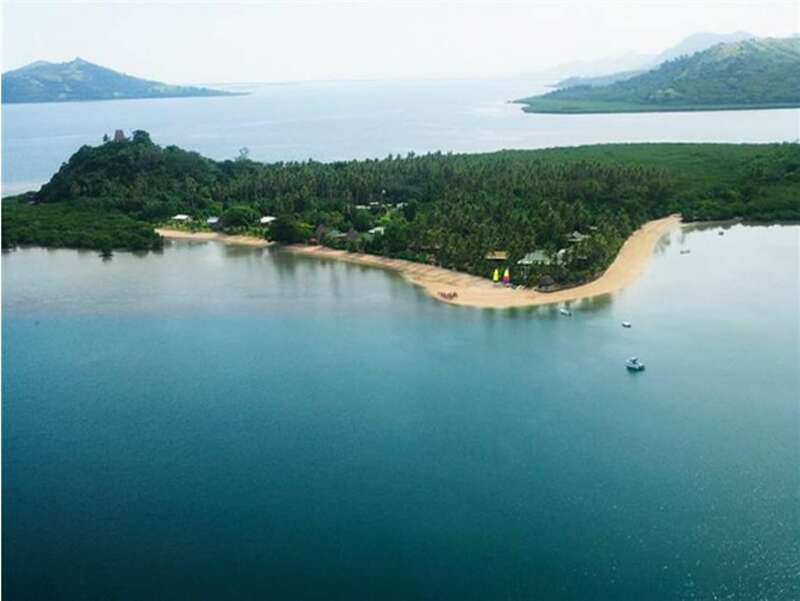 Nukubati provides plenty of the adventure the South Pacific is renowned for, from the thrill of the seaplane arrival, to sailing in uncharted waters, to fishing outside the Great Sea Reef, and to scuba diving where no one else has ever been. 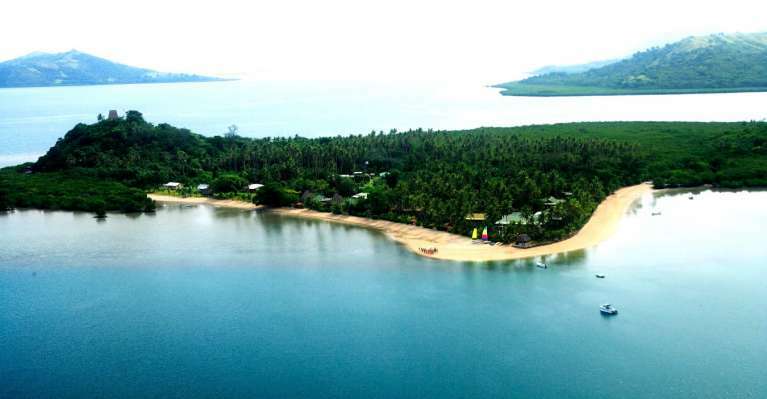 Four wheel drive safaris can also be arranged to tour the main island of Vanua Levu. Tennis Perhaps an early morning (or late evening) set among the coconut trees. Picnic We prepare a delicious basket for your escape to a nearby deserted island to be truly alone with your partner. Walk Around the island and up the hill, or for longer hikes go to the mainland and follow the ancient paths through the rainforests. Read Nukubati’s library of over three thousand titles specializes in Fijian and Pacific history and nature. Part of the library has a paperback exchange where you can swap your travel read for one of ours. Massage The skills of traditional Fijian massage have been passed down over centuries. This is one experience not to be missed on Nukubati. Volleyball This is just the thing to wake you up after your afternoon nap. Join the staff at 4pm most afternoons for a game filled with fun and laughter. The region is genuinely pristine. This is one of the few parts of the world that does not have electricity, piped water or other services that are called “essential” in the western world.